Who won Week 4 in PA track and field? There were big meets and great weather, which led to plenty of meet records and state ranking-topping times and marks. 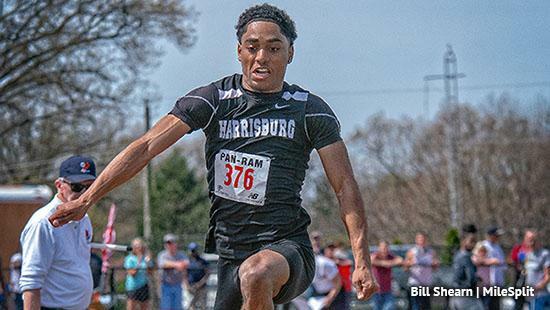 Harrisburg's Jakari Lomax (above) won the triple jump at Pan-Ram with a leap of 47-1, the best of the week in PA!